With the cold winter nights drawing in ever closer, it is now time that you retrieved your winter comforter from the cupboard/attic and put it to good use again. If you disposed of your old one last year after many years of great use, perhaps it’s now time that you invested goose down comforter. You may have heard about feather comforters before, however down comforters are much better at keeping you warm than feather comforters do. The reasoning behind this actually based on their location on the goose. The feathers, as you know are there to help the bird fly. The problem that they possess though is that when they’re in a comforter, they still contain the quills attached to the feathers, so it can be uncomfortable at times. In comparison to this, goose down is much lighter but also more ‘fluffy’. Due to this fact, it means you can have a warmer comforter which is also extremely efficient at keeping the heat in. It is the down that it actually keeps the bird warm due to its fibrous nature, which is why it also makes it an amazing filler for comforters. I’ve collated the best goose down comforters that are available on Amazon and included handy links to each of the so you can read the other reviews on that that helped me to make my choice to place them on this list. These are only available from Amazon.com, however I will be making other pages for the UK and also Canada. The first option on my list of best goose down comforters is from Pizon. This is a hypoallergenic comforter comforter, with a 100% cotton covering to encase the goose down. This has a high thread count of 400, with the goose down having a fill power of 600. This is a measure of how well it can insulate the body (i.e. how well it can keep it warm). This is perfect as a medium warmth comforter. Further, since it’s from Pizon has a unique patented structure in it which prevents the down from moving around the comforter. With this technology, it keeps it locked in place, precisely where you want it to be without having to shake it around to get it all in the right spot. Better yet, unlike some down comforters, you’re able to wash this at home, as well as put it into a tumble dryer, so you’ll be saving money on dry cleaning bills that some other down products require. Click here to read all the great reviews for the Pizon. The second option on this list is a little cheaper, but still great quality. There is a slight step up in the thread count of the cover of the comforter. 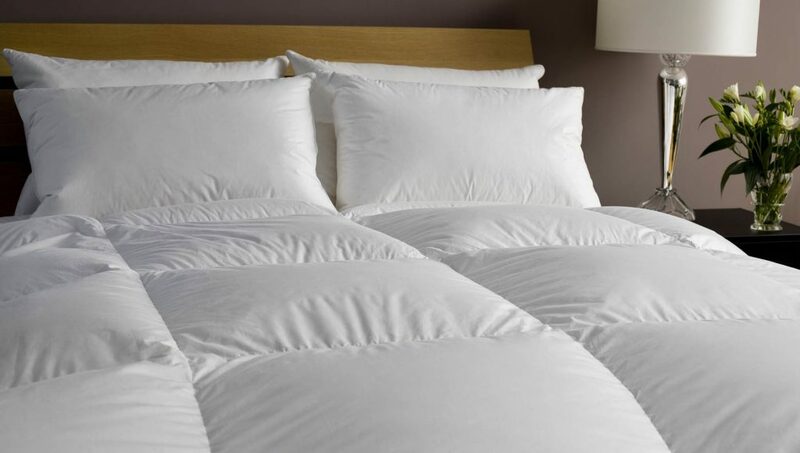 Whilst it is 100% cotton like the Pizon, the Puredown Goose down comforters cover has a thread count of 500, instead of the 400 for the option above. It also has a similar technology in it that will help to keep the down even throughout the the item rather than it moving around requiring shaking up constantly. However, unlike the Pizon, this can only be cleaned via a dry cleaners. This is something to consider depending on how accessible you are to a reputable dry cleaners, and also the extra money that it will cost to have it cleaned. As with the Pizon, this is a medium warmth version, so you can use it with confidence during the winter, but it’s also a great option in the spring and autumn. To read more about Puredowns best goose down comforter, click here. If you’re in the market for a goose down that is encased within Egyptian Cotton, then the Luxury Comforter brand of comforters is ideal for you. The cover is 100% Egyptian cotton that has a thread count of 600. The down itself has a fill power of 750, making it really warm , which is perfect for the winter months especially. The only issue with this is that because its fluffier, it needs a few rinse cycles on your washing machine to fully get rid of any detergents used to clean it. As with the other comforters mentioned in this hub though, it does contain a baffle box so that the down will not migrate (no pun intended) to other areas of the comforter. It will stay where it is supposed to making it another great option. There’s a lot of fantastic reviews for this comforter, and you can read them by clicking here. At the budget end of the spectrum, we’ve got an offering from the Chezmoi Collection. Whilst it isn’t true goose down, it’s a synthetic variant to mimic a goose down comforter. As with the other comforters it has a special structure so that the down won’t move around endlessly. It is also machine washable, and you can dry it in your tumble dryer. 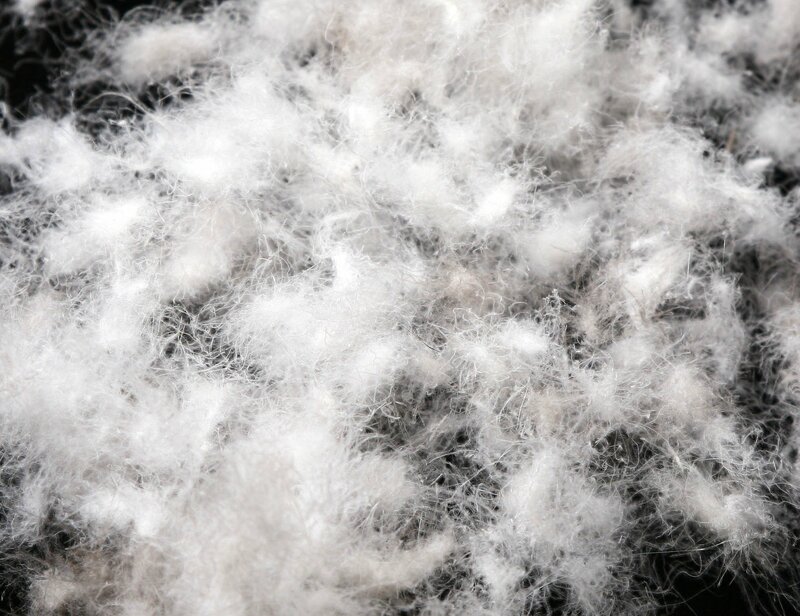 There are some reports that it isn’t as fluffy as the real goose down comforters, however, that is to be expected for a synthetic down. This would more likely be suited to a guest bedroom where the guests are just staying overnight and you’re not wanting to break the bank furnishing a room that doesn’t get used all that often. You can read more about the Chezmoi comforter and its reviews at this link.